Ok so this post has a real loose connection to the garden, but bare with me all will become clear, or at least less murky! Its the school holidays a great time to have afternoon out with my niece Ava who's 5 years old. 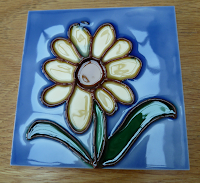 So along with my eldest sister Julie and our Aunt Sue we spent a lovely afternoon in a Tile Workshop at the Ironbridge Gorge Museums - Jackfield Tile Museum. 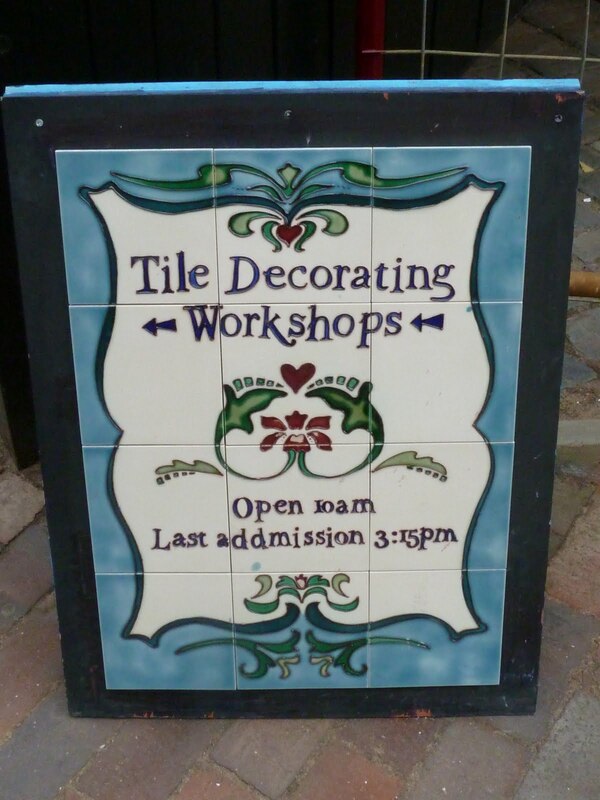 I've previously visited the Tile Museum so today we were just popping in for the Make your Own Tile Workshop, so did not need to pay the museum admission. 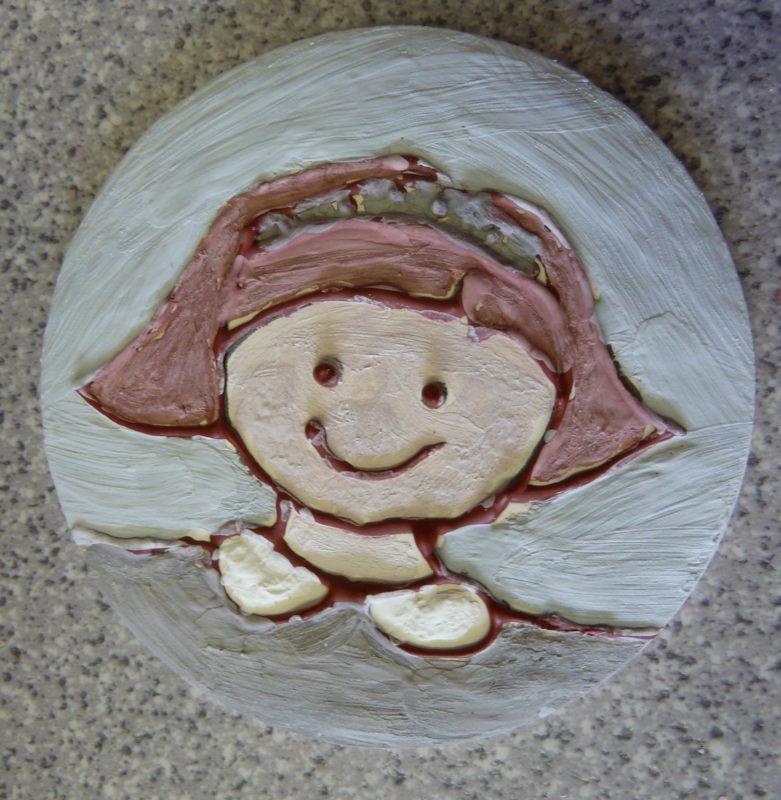 These workshops are run during the school holidays and they are not aimed at just children, like us there were other adults having a go. 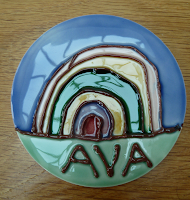 It was very well organised with a lovely lady helping us to decide what size tiles to choose from, both my Aunt Sue and I chose a round coaster and Ava decided it was best if she had two tiles one a round coaster and the other a square one. 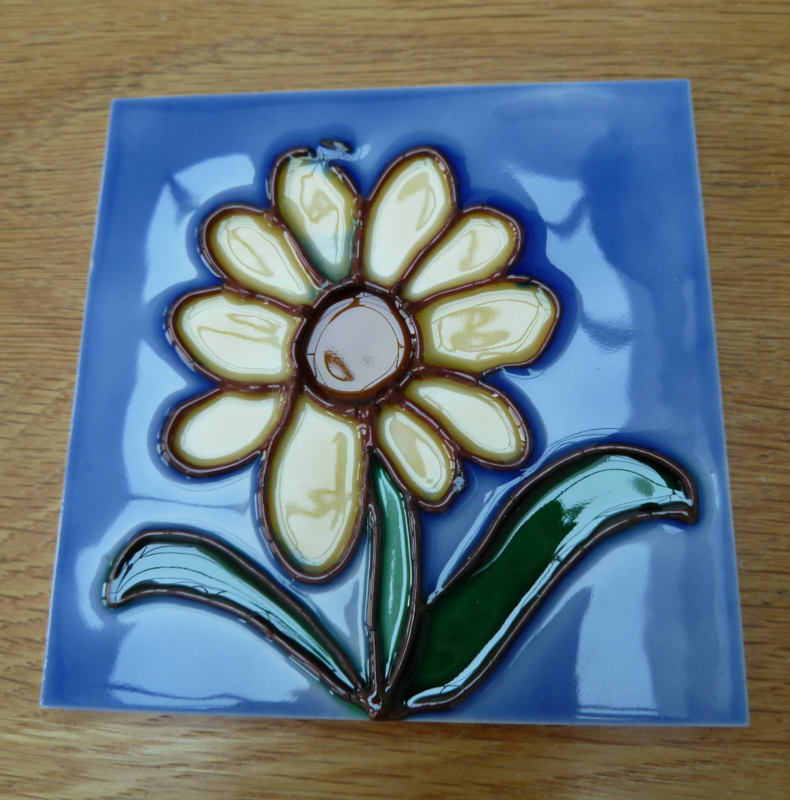 There were lots to choose from including large squares, oblongs or even a teapot stand tile. 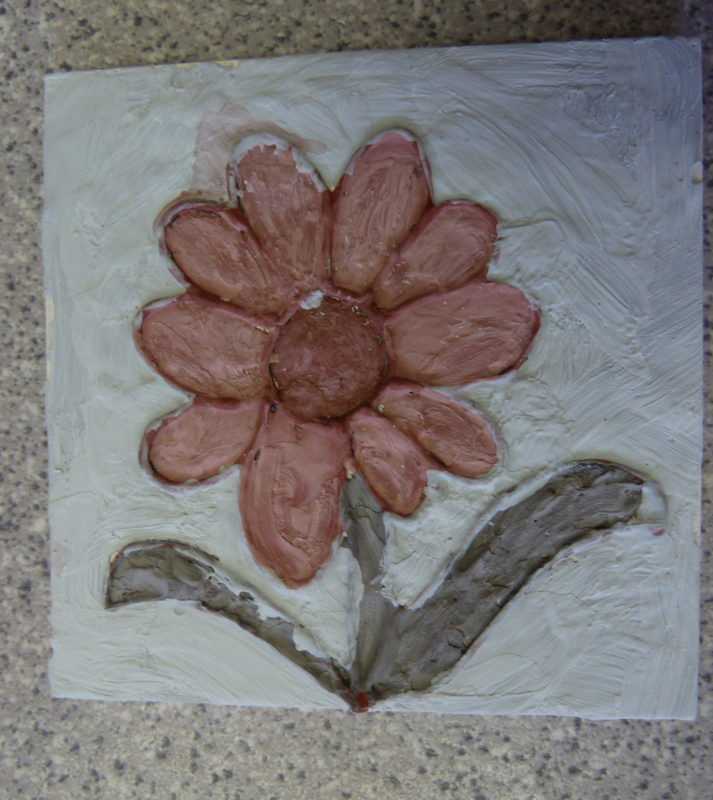 Now for the difficult part thinking what design to put on our tiles, for inspiration there were lots of lovely examples on the walls of the workshop and also pattern books to flick through. But we went with the intention of creating our own personal designs. 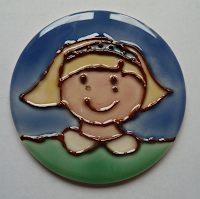 There was no need to worry about being artistic as you can draw your design first on paper and then trace it onto your tile. We were given a small pouch with a nozzle which is filled with slip (liquid clay) which you hold like a pen but squeeze the pouch which you then trace over your design (this was a little tricky). 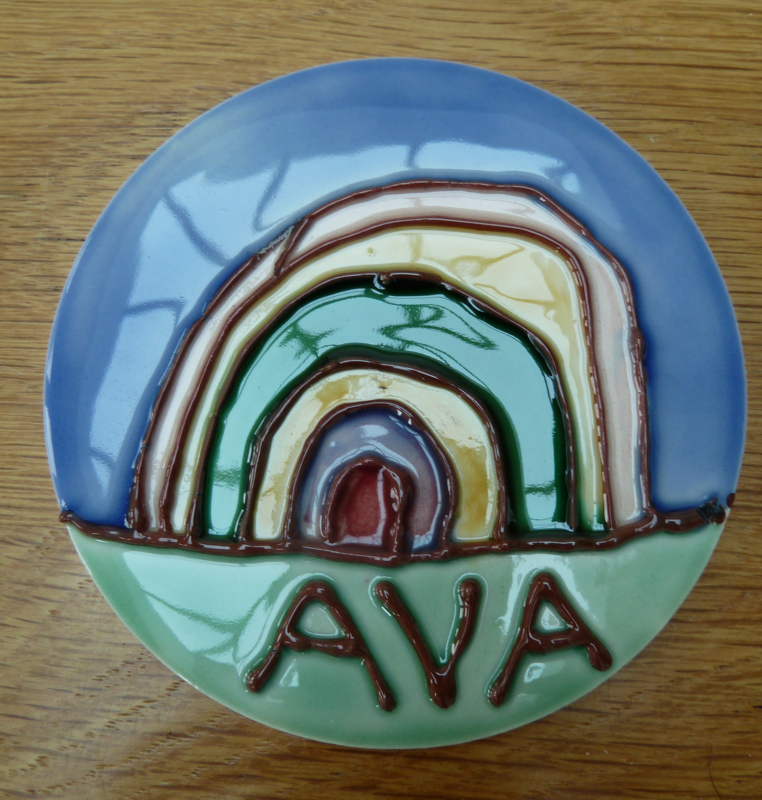 Once we had decided on which colour glaze's we wanted we got down to painting. 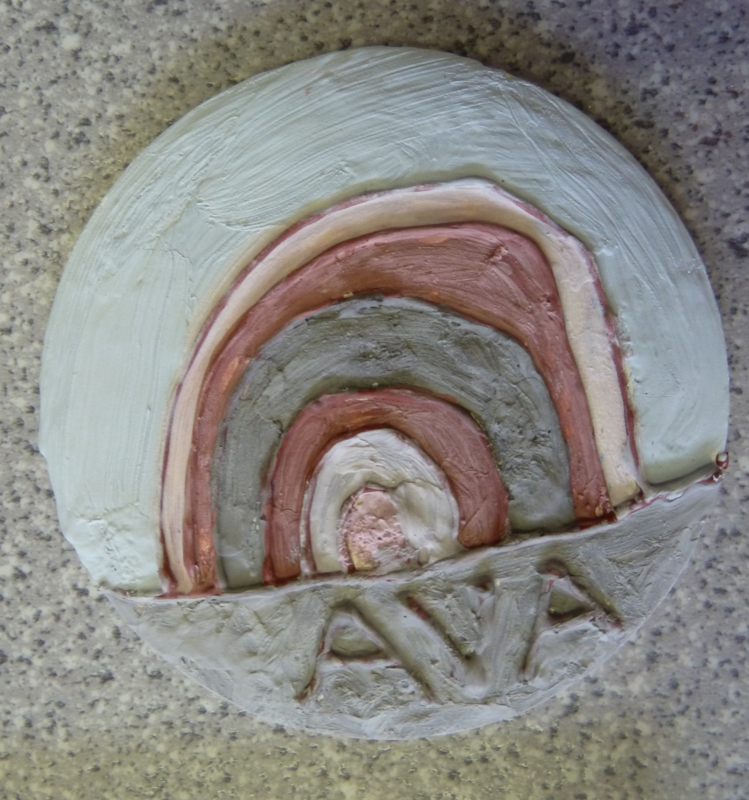 You have to remember that this stage the glazes all look like different shades of murky grey and pink. So do you want to see our designs. Ava decided on a rainbow as she loves drawing rainbows, and a picture of a Sunflower as this was easier to do than the daffodil she originally wanted to do. 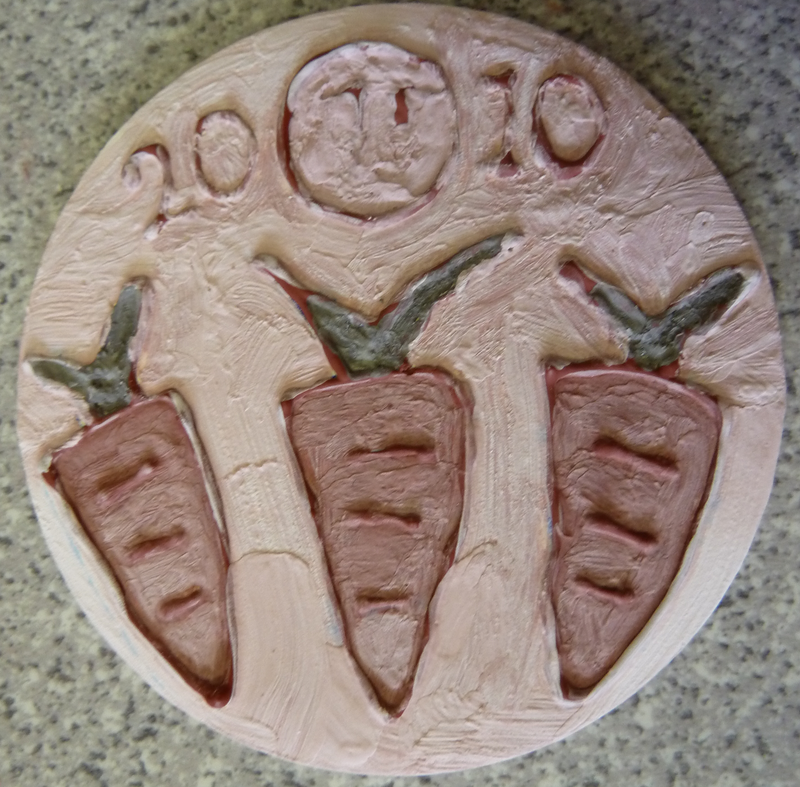 I chose three carrots to immortalise my 1st place for my carrots at the local garden show last year. My Aunt Sue decided to draw a cartoon version of herself. 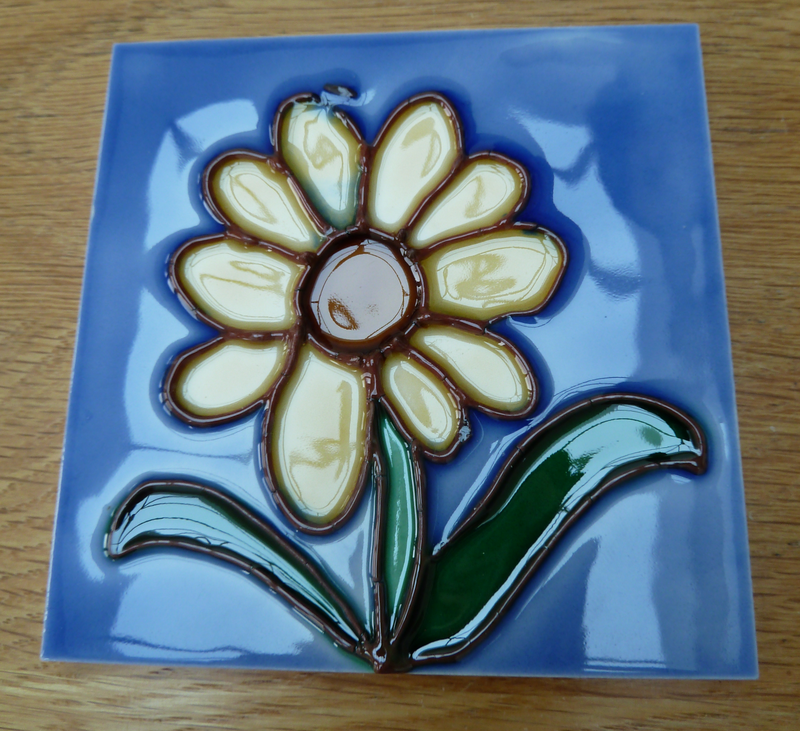 You have to allow a few days for the museum to fire the tiles in the kiln before you collect them (or they will post them to you). 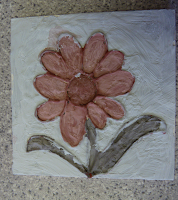 We were all delighted with our tiles and at only £4 for each tile it was excellent value. 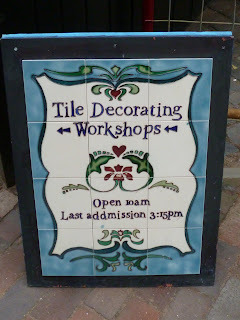 It was only after we had finished and had left the workshop we all realised we should of taken some photos, so a quick dash back to the workshop before the tiles were packed for firing to capture the before photos.I understand that the Tile workshops are just some of the events run by Ironbridge Gorge Museums during the school holidays.So there you go a very loose posting associated to the garden, but my carrots are now captured in china! 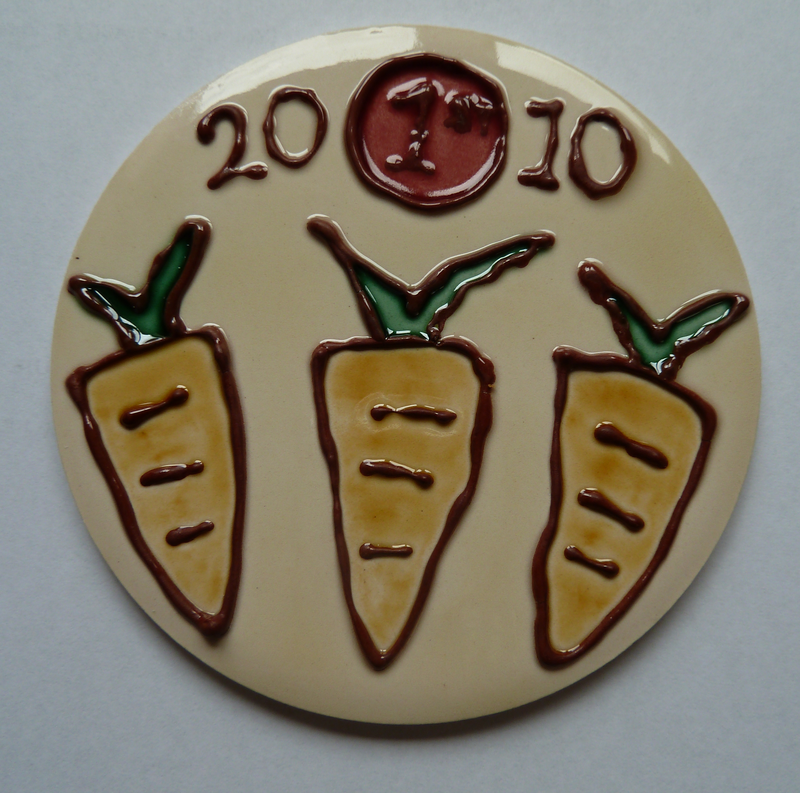 Oh and just to show you the real thing.